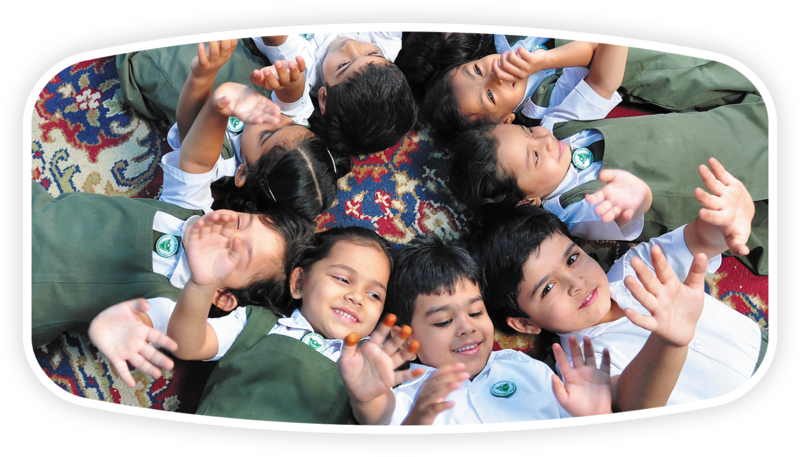 A nursery school is for children between the ages of three and five years, staffed by qualified teachers and other professionals who encourage and supervise educational play rather than simply providing childcare. It is a pre-primary institution, part of early childhood education. The curriculum goals of a nursery school are more specific than for childcare, but less strenuous than for primary school. The preschool is the first step children take into the outside world therefore great care has been taken to plan the facilities at the pre school. Outdoor play area: This area has been created using safe & flexible material. There is a jungle gym, sand pit,and a spacious playground. Garden: The garden is large and thoughtfully done with the purpose of exposing children to a large variety of flora. Class rooms: The rooms are bright, safe and child friendly with low level molded furniture and safe materials. The hub of the class room is the different learning corners that focus on individual learners and their strengths. Play den: The play den is a place where children play freely without guidance. It has various centres, home and imagination, manipulatives and discovery. Art Studio: The art studio is a stimulating place where children develop ideas. The wide range of art, craft and malleable materials allows children to explore and express freely. Library: A rich environment encouraging children to develop a love for books, imagine and enact characters and stories as well as develop a warm bond with their teachers through story telling sessions. Music Studio: The music studio is a place that puts a pulse and a beat into children. The exposure to a wide range of songs, rhymes, and instruments enhances all theirskills. There are regular check ups by a qualified paediatrician to ensure that they are in good physical health according to their specific age groups. The preschool has a tie up with a nearby local hospital. In addition to a well equipped first aid kit, a doctor is always on call to manage emergencies. Safe transport is provided to students with a host of well trained drivers and cleaners to ensure safety.Nasr Pre Primary has 5 buses operating almost covering the major routes to school.